Pocket WiFi Korea provides travellers from across the world to Korea with portable Wi-Fi hotspots that offers you affordable Internet access on the go – No bill shocks, just Internet freedom. We provide flat rate daily fee (US$3.95/day) that let you feel free and connected when on the road. No data roaming charges or looking for public hotspots. Freedom to the people who travel! Create your own private wireless network and share your connection with up to 5 Wi-Fi enabled devices, be it a laptop, smartphone, tablet, game console or e-book reader. Connect the whole travel group to your Pocket WiFi or enjoy your mobile broadband with multiple gadgets. Coverage:Seoul(Myeongdong, Dongdaemun & Gangnam area coverage is very poor. Please rent LTE model if you are staying in this area. 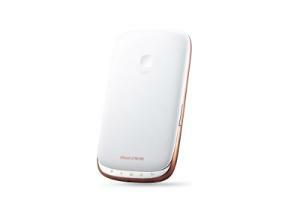 It’s a 4G handheld device which provides you with wireless internet access in Korea. 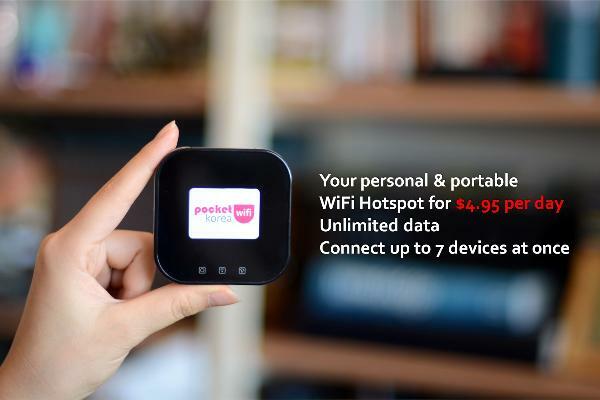 It works just like any other WiFi hotspot – but it’s personal and fits in your pocket. Mobile internet for smartphones, laptops and tablets. Cut all data roaming charges. BEFORE YOU CLICK ON THE "Pay with Paypal" BUTTON, PLEASE CAREFULLY READ THE TERMS AND CONDITIONS SET FORTH HEREUNDER. BY CLICKING ON THE "I accept the Terms & Conditions" CHECKBOX, YOU ARE BOUND BY AND HAVE BECOME A PARTY TO THIS AGREEMENT. 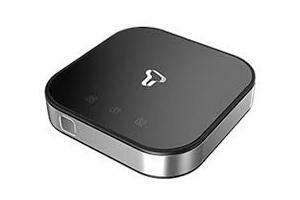 Company provides a wireless modem rental service (the "Pocket WiFi”), along with accessories (collectively the "Equipment") to travelers who plan to visit South Korea from abroad. We do not offer Equipment for sale on this Website. When you place an order to rent the Pocket WiFi, we will ask for your Arrival and Departure Date. The Equipment will then be picked up by you at Incheon Airport or your accommodation in Korea. It is your responsibility to inspect all Equipment upon receipt and to verify that it is in good working order and condition. It is your responsibility to ensure that you are available to pick up our Equipment on your Arrival Date as indicated on the online booking form. All Equipment should be returned in person to the Company’s pickup & return location in Incheon Airport in Korea. The Equipment shall be returned in good working order and condition. You assume all risk of loss and damage from the return of all Equipment. If for any reason you need to cancel your booking, you can do so without penalty before your rental date starts. After your rental date starts, we will charge a cancellation fee of US$10.00. The rental fees for the period you had the device will be exempt from the refund. You will need to return the device to us on the day that you cancel your order - days where you are in possession of the device cannot be refunded. If the device is returned by postal service due to cancellation, then the postage fee may be charged to the customer. The Rental Period commences on your pickup date ("Pickup Date") and expires upon your designated return date ("Return Date").